(Bloomberg) -- On Twitter, the anxiety is growing. “Will you guys be getting HBO back before Game of Thrones? !” one user tweeted to Dish Network Corp. recently. “I hope y’all work out a deal with @dish before the final season of @GameOfThrones,” another tweeted at HBO. “Looking for a new television provider. @dish can’t get along with HBO...I want to watch @GameOfThrones the night it airs!” a third wrote. For the past five months, Dish subscribers have been unable to get HBO because of a contract dispute between the companies. 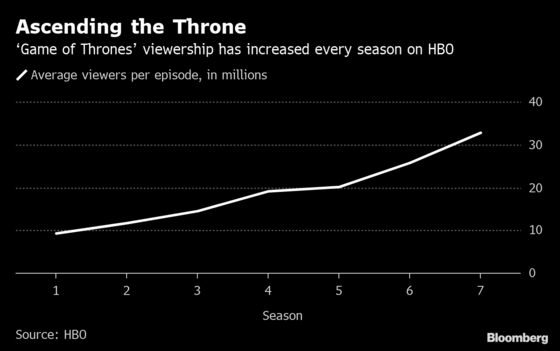 Now, as HBO’s most-popular show returns for a highly anticipated final season, customers are getting nervous. Both sides are feeling the pain. HBO lost about 3 million customers, while Dish is suffering some of the steepest subscriber losses in the pay-TV industry. The satellite company has warned that more could leave if there’s no deal by the “Game of Thrones” premiere on April 14. Chairman Charlie Ergen even suggested customers would find workarounds that don’t benefit either company. On its website, Dish is telling subscribers to download the online version of HBO, the $15-a-month HBO Now, to watch the final season of “Game of Thrones.” Unlike cable-TV providers, however, Dish has many customers in rural areas where internet connections may not be fast enough to stream the show. The two sides have made no meaningful progress since HBO went dark on Dish on Nov. 1, according to a person familiar with the matter. John Stankey — who runs AT&T Inc.’s WarnerMedia, the owner of HBO — spoke with Ergen late last year but made no headway, said the person, who asked not to be identified discussing the dispute. Dish and HBO declined to comment. There’s pressure on both sides to strike a deal, said Jonathan Chaplin, an analyst with New Street Research LLC. “Dish will no doubt survive, but it would be additional pressure on a business already fighting tough trends,” he said. Before the current dispute, no pay-TV provider had dropped HBO in its 46 years. Dish, meanwhile, was already hemorrhaging TV subscribers amid long-running blackouts with both HBO and Univision. Last year was Dish’s worst ever for cancellations. The Englewood, Colorado-based company and Univision reached a new contract last week. For now, Dish investors don’t seem too worried. Its shares are up more than 25 percent this year, about double the gain for the S&P 500. Investors value Dish largely on wireless spectrum it has acquired and less on its satellite-TV service. Ergen plans to build a wireless network that will deliver ultrafast 5G broadband service, as well as connect driverless cars and web-powered gadgets. The blackout stems from Ergen’s refusal to pay HBO for a minimum number of subscribers — even if the number of Dish customers who want the channel is smaller. 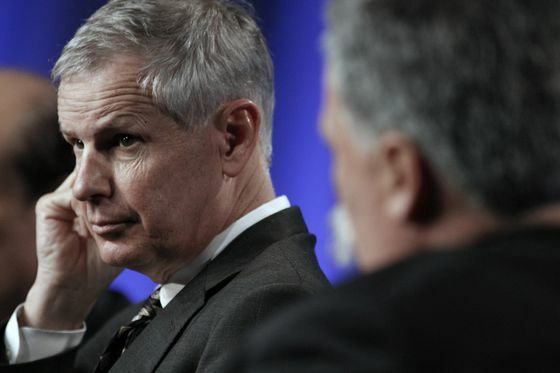 Ergen has argued that his satellite-TV company is getting pushed around by the much-larger AT&T, which completed its acquisition of Time Warner Inc. last year and now owns both HBO and DirecTV. As a competing satellite provider, DirecTV could benefit if the HBO blackout sends Dish customers elsewhere. Dish opposed the Time Warner deal, arguing AT&T would have too much power. HBO has said the terms of its proposal were better for Dish than the current deal, and that AT&T’s ownership had nothing to do with the dispute. If there were any political points for Ergen to score by making AT&T look like a bully in the dispute, that moment has passed. Antitrust officials lost a second and final court decision in February, erasing any chance the HBO blackout could jeopardize AT&T’s purchase.